Comments: This seabird has a very distinctive call. I often see oyster catchers in the San Juan Island and Cape Flattery areas along rocky shorelines where is forages for shellfish and other aquatic life. 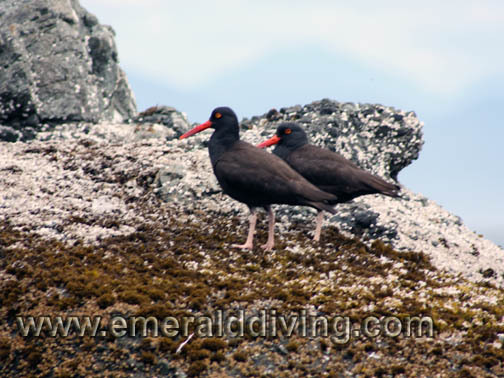 The bird is non-migratory and is usually found in pairs, family groups, and small flocks. Photographed at Tatoosh Island. ID: Thick orange beak, white eye-masking, yellow tufts on rear side of head. Black body and wings. Comments: I only note this very cool bird around Tatoosh Island in the Cape Flattery area. 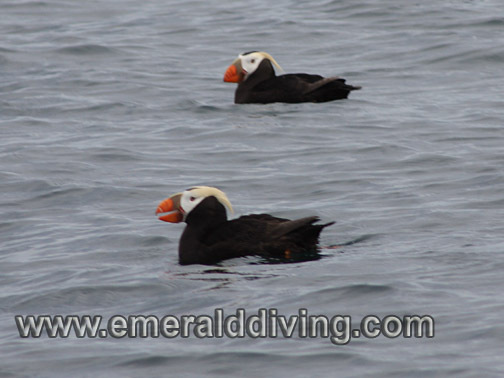 I have seen as many as a dozen tufted puffins gather in the bay on the northeast side of the island. 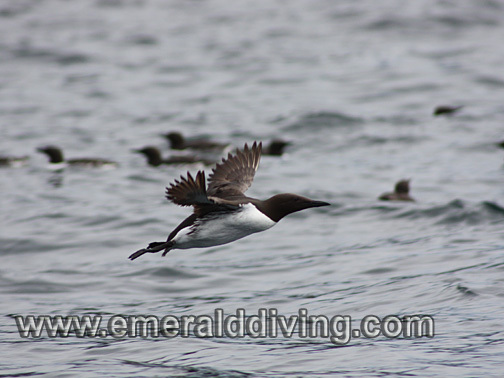 More commonly, I find this distinctive seabird alone or in smaller groups. ID: Grey-blue body with long neck. Long, pointed beak. Black plumes on white head. Comments: I typically see these magnificent wading bird in estuaries or shorelines where they use their long legs, necks, and beaks to hunt small fish in the shallows. Reported, this bird will also take rodents. 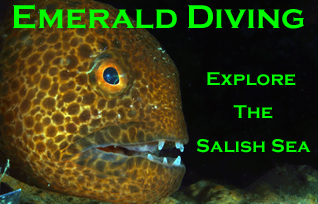 This specimen was photographed at Posssession Point off Whidbey Island. 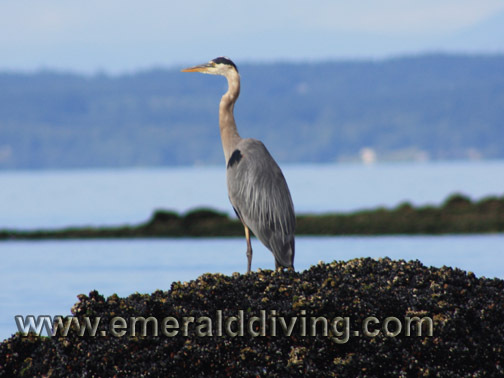 The great blue heron is the largest of the North American herons and can boast wingspans in excess of 6 feet. ID: Distinctive solid black head and top of body. Breast and body underparts white. White extends onto the head in non-breeding season. Comments: Congragations of hundreds if not thousands of these birds regulary assemble off Tattosh Island in large rafts, which is where this picture was taken. These accomplished swimmers can reportedly dive up 200 feet deep and feed on a vairiety of marine life, including fish, squid, and crustaceans.